The 17 Sustainable Development Goals and 169 targets seek to realize the human rights of all. 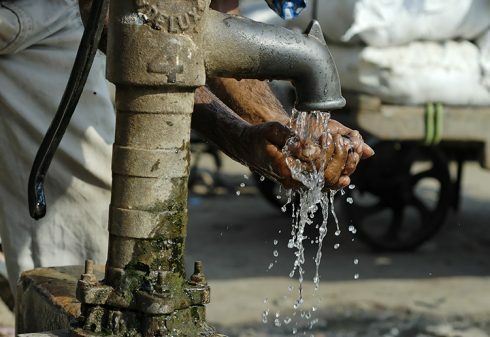 According to the UN Special Rapporteurs on the human rights to Water and Sanitation and on human rights and the Environment, having access to safe drinking water and sanitation is central to living a life in dignity; and a safe, clean, healthy and sustainable environment is a prerequisite for the full enjoyment of a wide range of human rights. Yet, when discussing business and human rights or social responsibility the issue is often narrowed down to labour rights and safe working conditions. However, industrial water consumption can often threaten local populations’ access to water. Wastewater from various manufacturing processes, such as textile or pharmaceuticals, often contains chemicals and pollute ground and surface waters. This affects both quantity and quality of drinking water as well as ecosystems and people’s livelihoods. We welcome you to a seminar where we introduce the linkages between human rights, water and the wider environment and the most central guidelines for the private sector to engage and improve their strategies such as the UN Guiding Principles on Business and Human Rights (UNGP). 12.05 Human rights and the environment – are they linked?